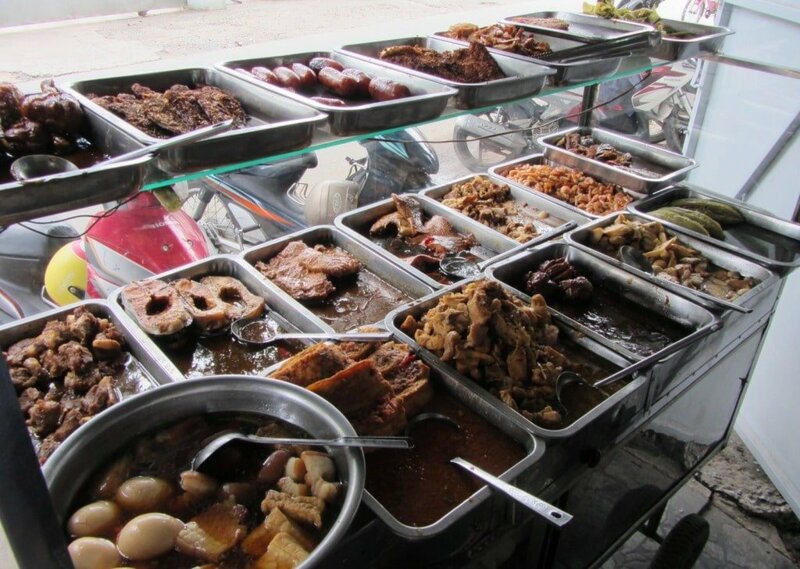 Can you live only on street food in Vietnam? Is it any good and is it really that cheap? To find out I spent a whole week eating exclusively street food. 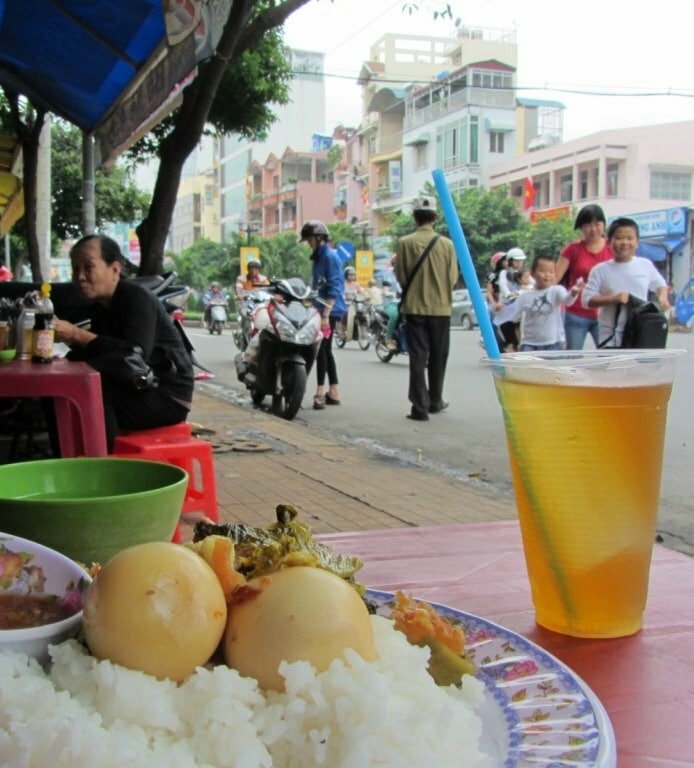 Breakfast, lunch and dinner, I filled my stomach only with what’s sold on the streets of the city where I live, Saigon (Ho Chi Minh City). On this page I record all the different dishes, and the cost and quality of the food; meal by meal, day by day. Each place I ate at is plotted on the map below, so that anyone interested in trying the food for themselves can find their way there. Why did I do this? Well, firstly because I thought it’d be a lot of fun, and street food in Vietnam – especially Saigon – is cheap and delicious. But also I was increasingly guilty of neglecting the street food scene in Saigon. Mainly – or so I told myself – this is because I play a lot of tennis in the middle of the day, after which I tended not to eat anything until dinner time, when I would ‘reward’ myself with a huge Western meal; a habit I wanted to break. I also liked to ‘save up’ my street food binges for when I went on road trips. Another reason is that I was frustrated by meeting Western travellers, expats and young Vietnamese, who avoid street food in Vietnam because it’s ‘dirty’. Whatever the reasons for it, I fully expected to enjoy my Street Food Week, and, unlike the guy in the movie Supersize Me, I thought I’d be healthier and better nourished in body and soul at the end of this particular gastronomic experiment. To find out how it went, read the following Street Food Week diary and Conclusion. BREAKFAST: Bánh cuốn: steamed rice paper rolls | Address: 42/2 Trần Bình Trọng, Bình Thạnh District [MAP] | Price: 16,000VNĐ ($0.75) | My Street Food Week starts here: on an alleyway just 25 metres from my front door a woman in a conical hat sells bánh cuốn – steamed rice paper rolls. 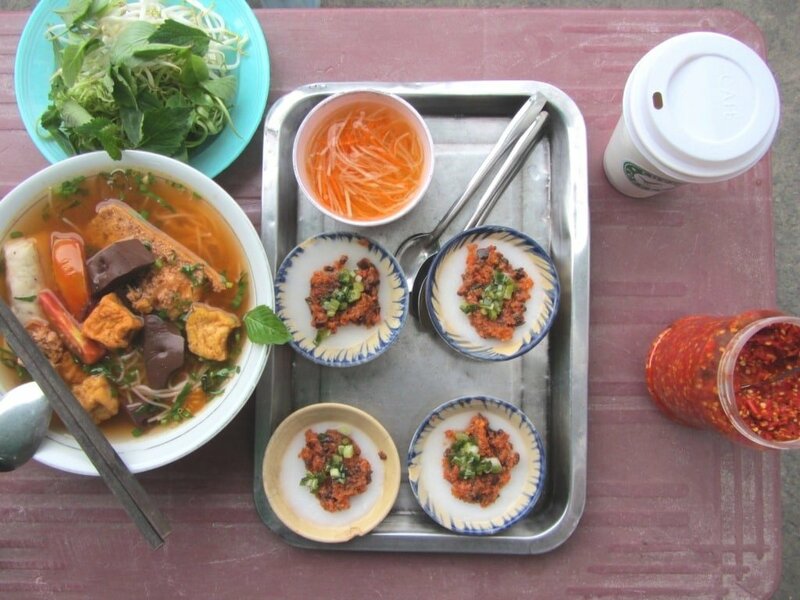 Served warm with a pork and mushroom filling, sprinkled with roasted shallots and covered in spicy fish sauce, this is what breakfast on the street in Saigon looks like. eatery) the sauteed chicken entrails & bitter gourd omelet were rich in protein & iron – just what I needed after a lunchtime swim in the middle of a tropical downpour. $2 is a modest rip-off for such a local place, but I was happy to let this one go. plastic tables & stools on the pavement that was recommended by a Vietnamese friend of mine. I ate excellent canh bún, which is a noodle soup with EVERYTHING in it! There are tomatoes, crab, snails, water spinach, tofu, Vietnamese sausage, blood cake, herbs, bean sprouts; about as much goodness as you could possibly cram into one bowl. Hearty & fresh I can’t help but feel this soup also has some kind of medicinal quality: a one dollar elixir sold on the side of the chaotic streets of Saigon. Hands down the best meal of the day. TOTAL DAILY COST: 78,000VNĐ (under $4). BREAKFAST: Cơm tấm: broken rice with pork | Address: 53 Trần Bình Trọng (behind the car wash), Bình Thạnh District [MAP] | Price: 30,000VNĐ ($1.50) | Cơm tấm is Vietnam’s answer to the English Breakfast, and it’s a classic street food dish that’s found on almost every street in the south. A char-grilled pork chop marinated in lemongrass, fish sauce & spices, a fried egg, pickles, and crunchy pork skin all laid over a mountain of broken rice; this is a firm favourite of mine. See my article all about this dish for more information. LUNCH: Mì thịt heo, há cảo: fresh egg noodles with pork & shrimp dumplings | Address: Quán Huê Viên: 277 Phan Đình Phùng, Phú Nhuận District [MAP] | Price: 46,000VNĐ ($2) | I read about this place in an article that one of my readers drew my attention to. Quán Huê Viên has been running for more than 40 years. In that time it has become famous for its duck noodles. Unfortunately, since becoming famous the price of this dish has reached levels beyond what I consider to be ‘street’. So – although the smell of the cinnamon from the duck broth was tempting – I went for the cheaper option of fresh egg noodles with pork & prawn cracker, with a few Chinese-style shrimp dumplings too. It was a decent lunch, but next time I’ll come for the duck. DINNER: Thịt chó: dog meat | Address: Trương 2 Restaurant: alleyway 189 Cống Quỳnh, District 1 [MAP] | Price: 100,000VNĐ ($5) per person | Yes, dog meat! But wait, this is not just a novelty food; something to tell your friends that you’ve done, but would never do again. No, dog meat is really, truly, genuinely delicious. 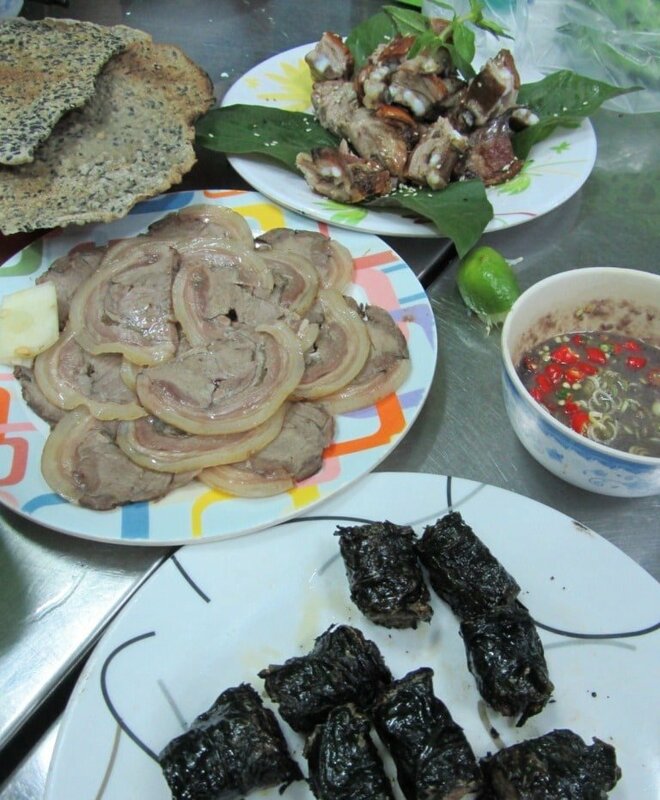 I’ve been eating dog meat for a few years, but this particular meal was by far the tastiest: dog wrapped in aromatic betel leaf, steamed dog with herbs & dipping sauce, dog soup with young bamboo, dog sausage. But the star of the show was a sort of ‘dog kebab’ which – instead of a skewer – is eaten off one of the dog’s ribs: all 10 diners couldn’t get enough of this dish. To accompany the meal there’s a choice of more than a dozen types of Vietnamese liquor. A great night; a great meal. BREAKFAST: Phở: beef noodle soup | Address: Phở Hoàng Sa: 46 Trần Bình Trọng, Bình Thạnh District [MAP] | Price: 25,000VNĐ ($1) | Vietnam’s most famous dish, phở is available on every street in Saigon. However, finding a good bowl of this beef noodle soup is much harder than you might expect. This place recently opened not 20 metres from my front door, so I thought I’d give it a try. The broth was deep, meaty and not too sweet, which is exactly how I like it. Too oily perhaps, but the addition of a handful of herbs brought back some freshness and aroma to the soup. 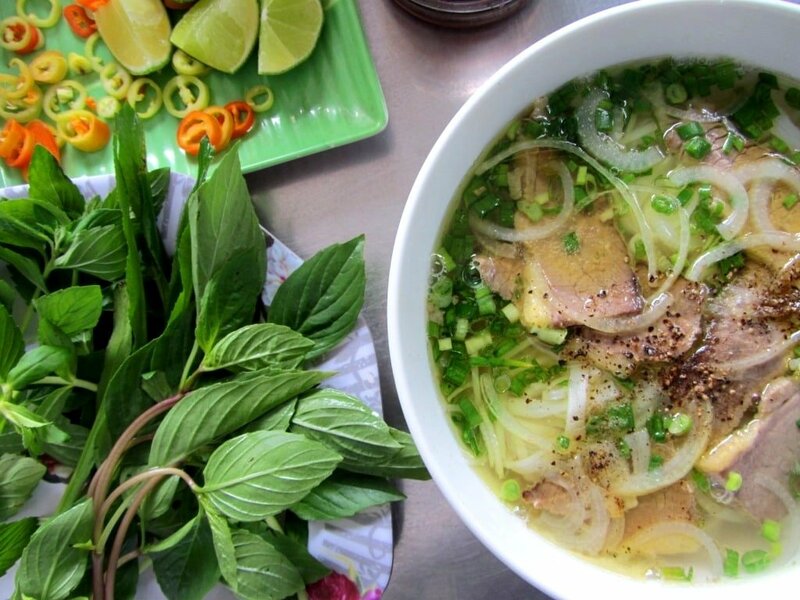 Certainly better than the average bowl of phở on the street. LUNCH: Cơm cá phi-lê: rice & fish | Address: Quán Cơm 17: 17 Trần Bình Trọng, Bình Thạnh District [MAP] | Price: 30,000VNĐ ($1.50) | A simple lunch near my house (again) at a classic quán cơm bình dân (common rice eatery). All the different dishes are on display in trays for you to choose from. I had rice with fish fillets, fried in lemongrass and chilli. This is one of my favourite local rice eateries: corrugated iron roof, a mixture bare red brick and cardboard walls, a few stray dogs, lots of local workmen, and a large kapok tree growing out the middle of the dining area. Love it! DINNER: Hủ tíu xào heo: fried Chinese-style flat rice noodles with pork | Address: Mì A Dìn Ký: 598/6 Nguyễn Trãi, District 5 (China Town) [MAP] | Price: 40,000VNĐ ($2) | For dinner I was in District 5 – also known as Saigon’s China Town – at the invitation of a friend who recommended the Chinese-style flat rice noodles with pork here. Down an alley, on a corner in an old soviet-style apartment block, is Mì A Dìn Ký noodle stall. Wok-tossed with green leaves, onions & plenty of soy sauce, the noodles were hot & comforting on a cool, wet night in Saigon. The glass of hot soy milk from next door was superb. BREAKFAST: Mì quảng: central-style noodle soup | Address: Mì Quảng 85: 85 Trần Quang Diệu, District 3 [MAP] | Price: 40,000VNĐ ($2) | This is yet another place recommended me by a friend & situated on the corner of an old Soviet-style apartment complex. 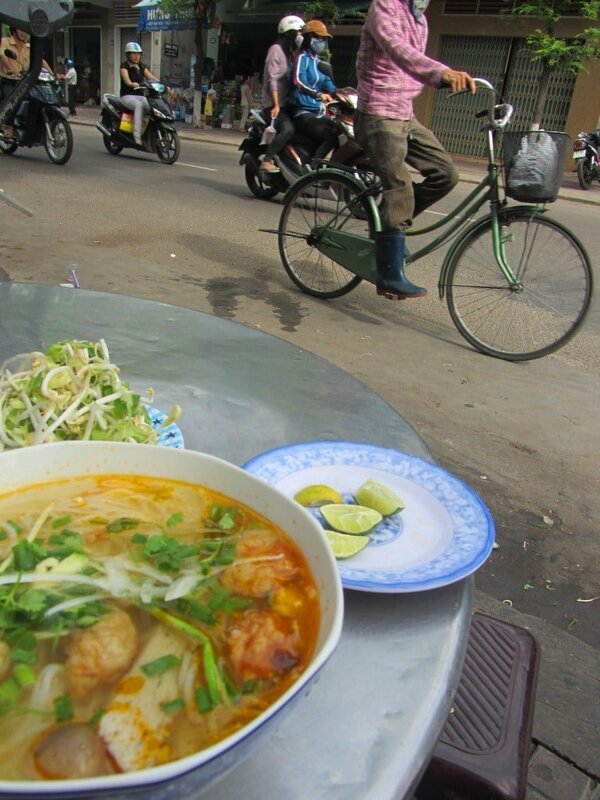 Stretched out along a 25 metre section of pavement are the low tables & stools of Mì Quảng 85 soup stall, packed with customers at 8am. 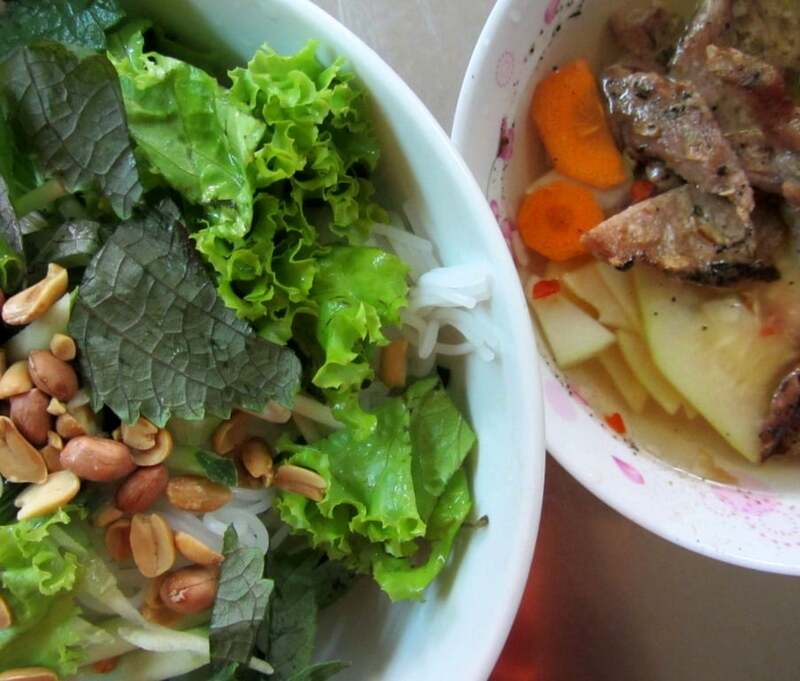 Mì quảng is a dish from Central Vietnam, beloved by Vietnamese & foreigners alike. Thick yellow noodles, shrimp, pork, quail eggs, banana blossom, bean sprouts, mint & peanuts in a shallow salty-sweet broth & topped with sesame rice crackers. Like most central Vietnamese specialities, the best bowls I’ve had are in the central regions, but this one is close in quality, and one of the better bowls of mì quảng available in Saigon. LUNCH: Bún thịt nướng: cold noodles with grilled pork | Address: Quán Ăn 3 Miền: 212 Vạn Kiếp, Bình Thạnh District [MAP] | Price: 20,000VNĐ ($1) | On a great road for street food in general, this dish is another favourite of mine. Bún thịt nướng is cold rice noodles with grilled marinated pork, plenty of fresh herbs, peanuts, bean sprouts, pickled carrots, chilli & lots of nước chấm (sweet & sour fish sauce) for moistening the dry noodles. This is a very fresh dish with a lot of texture, colour & flavour. The meat & the fish sauce are predominantly sweet & sour, but the herbs – perilla, basil, mint – add a ‘menthol’ crispness to this dish. Overall, it’s very refreshing, and reminds me of some of the salads you find in Middle Eastern cuisine. DINNER: Bánh xèo: Vietnamese savoury crêpe | Address: Bánh Xèo Miền Trung: at the corner of Alley 167 Sư Vạn Hạnh, District 10 [MAP] | Price: 5,000VNĐ ($0.25) each pancake | Bánh xèo are savoury pancakes made from a rice flour batter, filled with shrimp, pork & bean sprouts, & then fried. 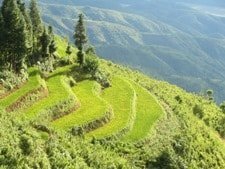 It’s particularly popular in southern & central regions of Vietnam. This place (in fact the whole street!) 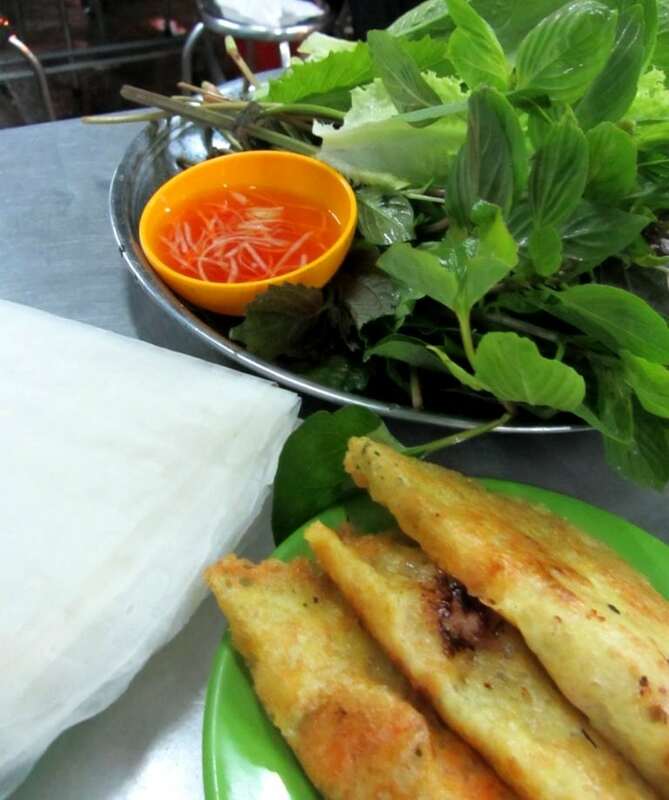 specializes in small ‘central-style’ bánh xèo’ that you tear apart with your chopsticks, add basil & other herbs, wrap in a mustard or lettuce leaf, & wrap again in a sheet of rice paper before dipping it in sweet fish sauce. Tonight was ‘District Dinner’ night (a weekly get together for food in Saigon), and between the 25 of us we must have got through close to 100 pancakes. Delicious! BREAKFAST: Mì hoành thánh: wonton noodle soup | Address: Quốc Xương: 60 Phan Đăng Lưu, Phú Nhuận District [MAP] | Price: 30,000VNĐ ($1.50) | Most people will be familiar with this soup from Chinese restaurants in their home country. 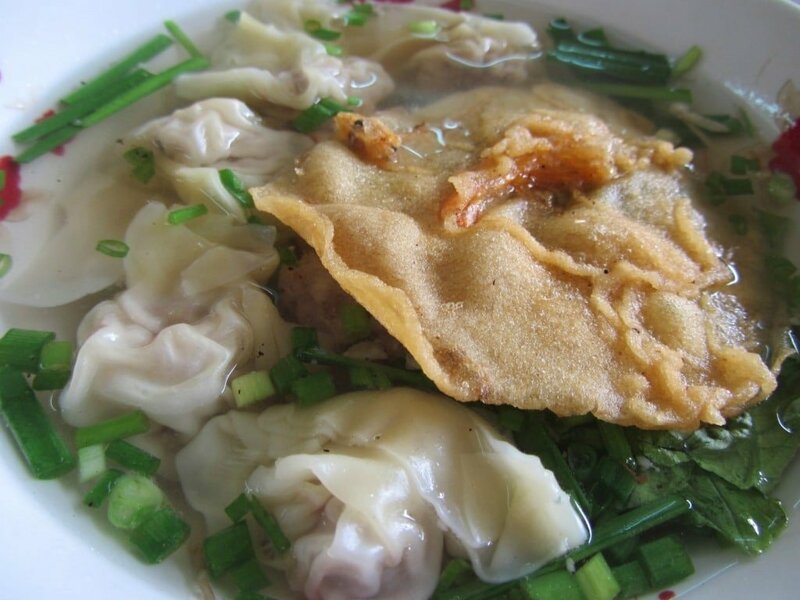 Mì hoành thánh (wonton noodle soup) is fresh egg noodles in a light, clear broth with pork-filled dumplings in it. This soup is quite popular in Vietnam, especially in Saigon where there is still a large Chinese community. I find wonton soup very ‘comforting’, and I particularly like the wooden soup trolleys – decorated with dragons & myths, & sometimes decades old – that this soup is usually sold from. LUNCH: Bò kho: beef stew | Address: corner of Alleyway 57 Nguyễn Thông, Distict 3 [MAP] | Price: 20,000VNĐ ($1) | Bò kho is a spicy, aromatic beef stew that’s quite unlike most other Vietnamese soups. The deep, brooding broth is full of lemongrass, star anise, cardamon & plenty of other exotic flavours, making it closer to the curries of the Indian subcontinent than anything else. Usually, it’s eaten with a baguette for dunking, but on this occasion it was served over hủ tíu (rice vermicelli) instead. A hearty lunch on a humid afternoon. See my article all about this dish HERE. DINNER: Bánh canh cua giò heo: ‘slippery’ crab noodles with pig trotters. | Address: Chợ Gò Vấp (Go Vap Market) on Nguyễn Văn Nghi street; opposite number 136 [MAP] | Price: 25,000VNĐ ($1) | Bánh canh cua is a fishy, meaty soup with loads of ‘goodies’ in it, & famously slippery noodles. These noodles – made from either rice or tapioca – have a jelly-like texture which means they constantly fall off your chopsticks just before reaching your mouth. Thankfully, this place addresses that problem by providing you with a spoon, not chopsticks. Among the goodies in this bowl of soup are shrimp, crab, quail egg, pig trotters, blood cake & Vietnamese salami. ‘Twisted’ Chinese-style fried bread (giò cháo quảy) helps to mop up the delicious broth once all the ‘chunky bits’ have been consumed. 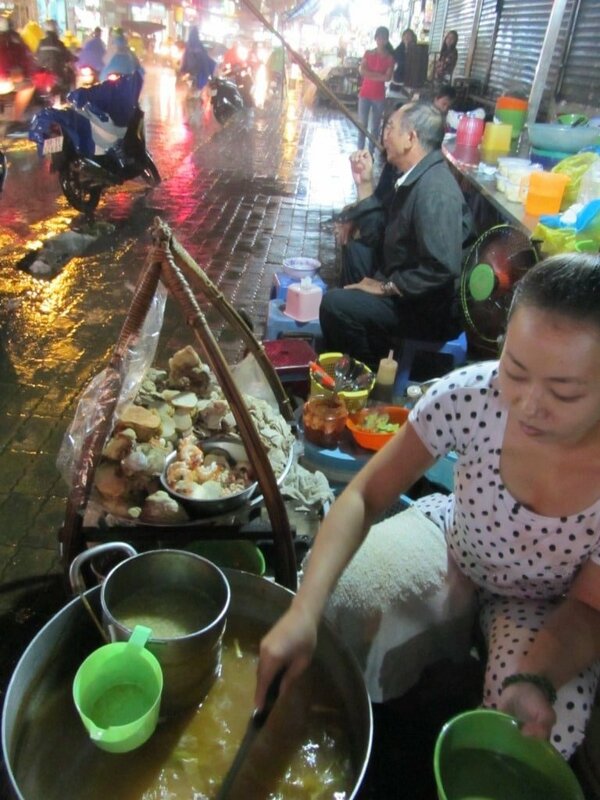 A warming bowl on a cold, wet night in Ho Chi Minh City. BREAKFAST: Bánh mì thịt: baguette with pork filling | Address: Bánh Mì Hoàng Thanh: 454c Lê Quang Định, Bình Thạnh District [MAP] | Price: 13,000VNĐ ($0.50) | I work early in the mornings on Saturdays, so I chose the quintessential Vietnamese ‘snack-on-the-go’ for my breakfast: bánh mì thịt (baguette with pork filling). The baguette is a legacy of the French, who ruled Vietnam for almost 100 years; from the mid 19th to the mid 20th century. 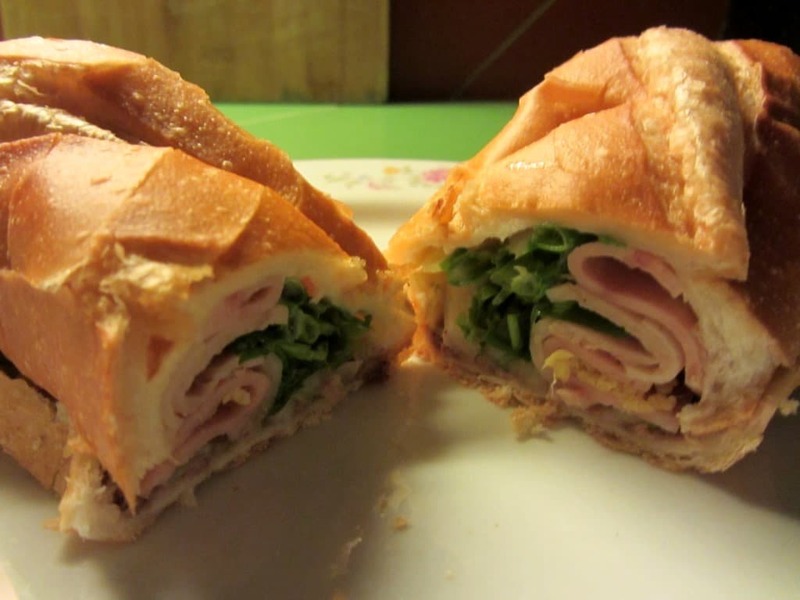 Baguettes come with all sorts of fillings in Vietnam, & they are a staple of most working people, especially in big cities like Saigon, where time is money & the baguette is tasty, cheap & quick to consume. My bánh mì was filled with Vietnamese ham, pork sausage, pâté, salad, & chilli. At 7am this morning I have no doubt that I was just one of millions of people around the country chomping on bánh mì thịt for their breakfast; there’s something reassuring about that. LUNCH: Cơm heo quay cải chua trứng: rice with roast pork, pickled cabbage & egg | Address: Cơm Bình Dân: 440 Phan Xích Long, Phú Nhuận District [MAP] | Price: 25,000VNĐ ($1) | This is another local rice eatery (quán cơm bình dân) which is right next to the school where I work. It’s cheap, friendly, & the meals are hearty: a satisfying way to fill the 15 minute break between teaching energetic children’s classes on Saturday morning. 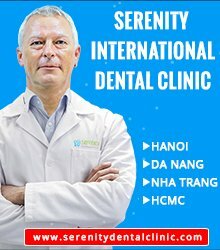 Many foreigners & Vietnamese turn their noses up at places like this, but I love them: The availability of good, cheap food, the variety of dishes on offer, and the speed & enjoyment with which other diners (mostly office workers or labourers) consume their food, never fails to excite me. Sandwiches at a local deli in central London doesn’t come close to the energy of local Vietnamese rice eateries like this one. DINNER: Bún mắm: fishy soup from the Mekong | Address: Bún Mắm 444: 369 Lê Quang Định, Bình Thạnh District [MAP] | Price: 40,000VNĐ ($2) | Bún mắm is a robust, fishy soup that’s packed with ingredients. Roast pork, squid, shrimp, fish cake, aubergine, bean sprouts, and a whole host of herbs & vegetables. The broth is complex & powerful with pungent, sweet fish sauce, lemongrass & tamarind all playing their part. This eatery is my go-to place for this soup. 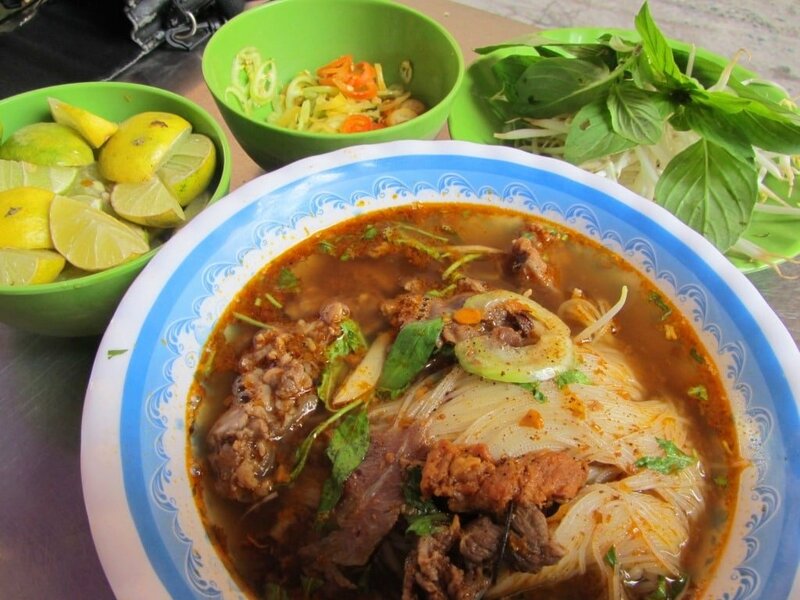 Read more about bún mắm and the best place to eat it HERE. last meal. On the corner of yet another Soviet-style apartment complex (clearly these are great places to find street food!) is a little stall that caught my eye because it was advertising two dishes I had yet to try this week. 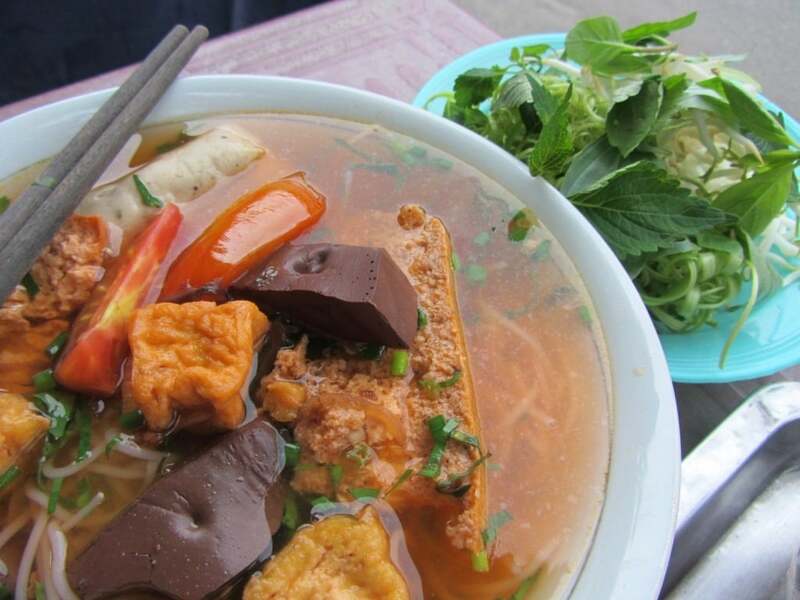 Bún riêu is another one of those soups that has everything thrown in it: tofu, blood cake, Vietnamese sausage, a garden of fresh herbs & vegetables, all in a rich crab & tomato-based broth. For more information about this soup & the best place to eat it see THIS. 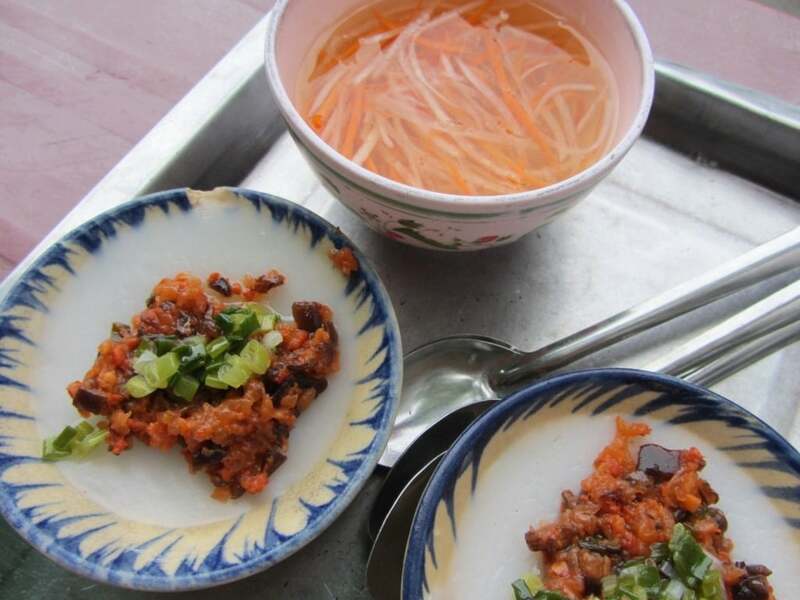 The other dish is bánh bèo which is a savoury rice cake with a smooth, jelly-like texture. These small cakes are a speciality of Central Vietnam, and they’re served in pretty little painted bowls. Roasted shallots, dried shrimp, ground pork & mushrooms are sprinkled on top, then a spoonful of fish sauce adds some sweetness & spice. I also bought a take out coffee from one of the many independent local cafes in the area. A yummy, satisfying (and cheap) end to my week of street food in Saigon. 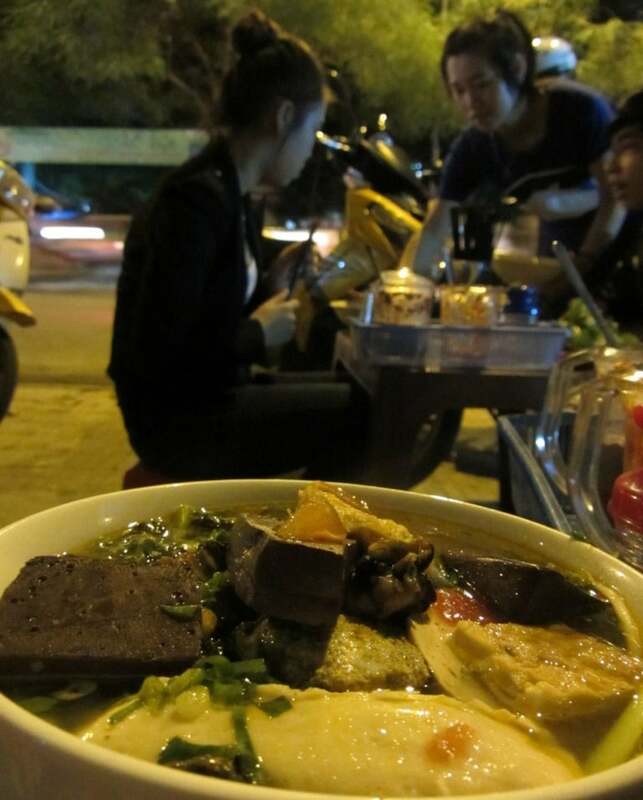 Can you live on street food in Saigon for a week? Yes, easily. I never had to ‘find’ somewhere to eat; whenever I was hungry I stopped, looked around, saw a street food stall, and ate. 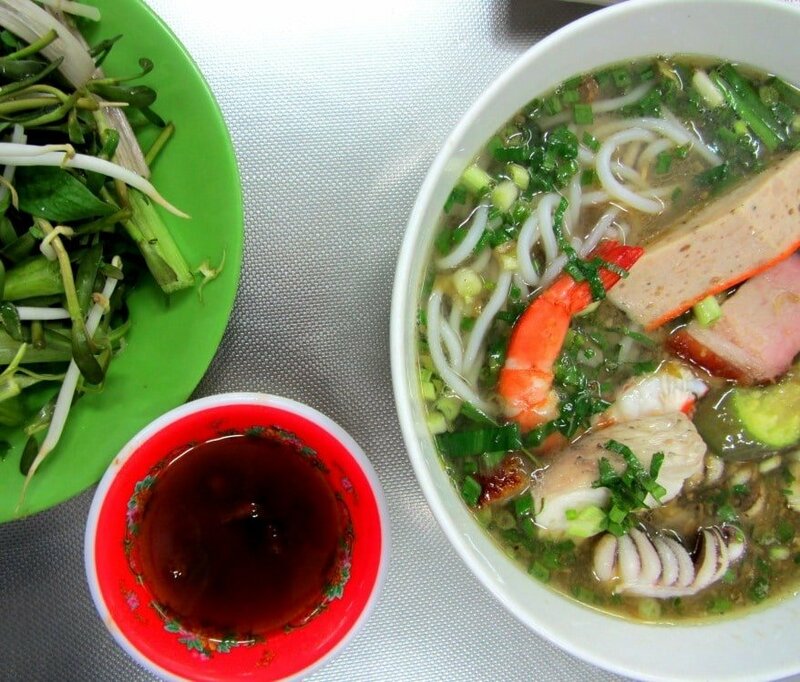 In Saigon you’re never more than a few metres away from street food. Is the quality of street food any good? Yes. 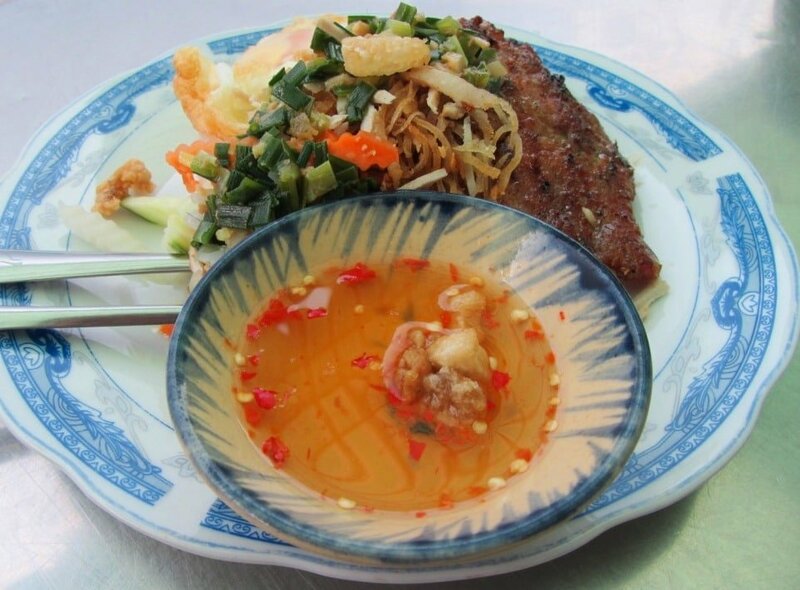 Each meal I had on the pavements of Saigon was packed with flavour, colour, texture & aroma. Street food is an exciting & sensory experience: you see the colours, smell the aromas, taste the flavours, & feel the texture of every dish. Is there enough variety? Oh yes! In one week I ate a different dish for every one of my 19 meals. 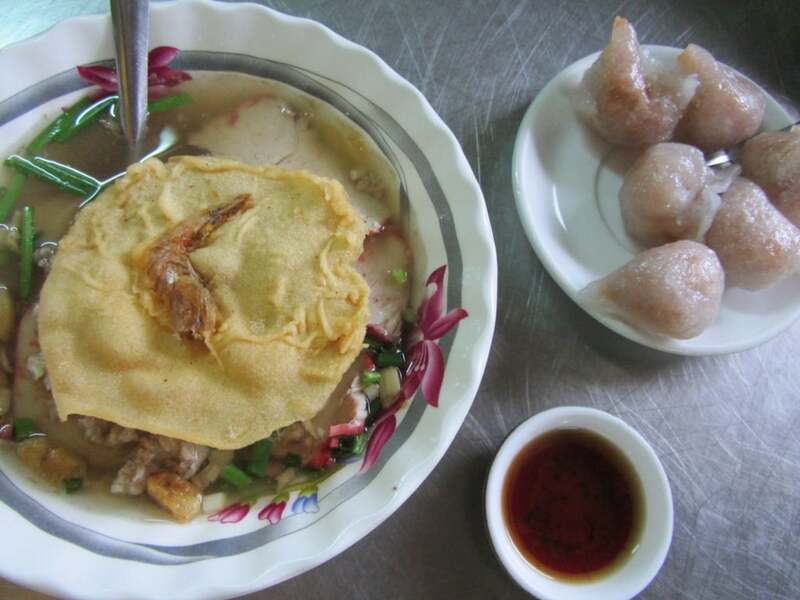 It wasn’t a conscious effort to avoid eating the same meal twice: the variety of Vietnamese street food means that you could go for months without having to have the same dish. Is it clean? Yes & no. Most places wouldn’t pass any of the food hygiene regulations that exist in the UK. However, I wasn’t in any way sick during this week, nor did I expect to be. Having worked a while in a ‘clean’ restaurant back in London, I think that lots of travellers, expats & Vietnamese (especially the younger generation) have a misconception about the cleanliness of restaurants versus the perceived grubbiness of street food. The main difference is that on the street the hygiene (or lack of it) is on display, whereas in a restaurant it’s hidden from view. Is it healthy? Yes, to a certain extent. Dishes are well balanced with plenty of protein, carbohydrate, iron & vitamins. Meat, fish, vegetables & rice (in one form or another) are present in the majority of meals. 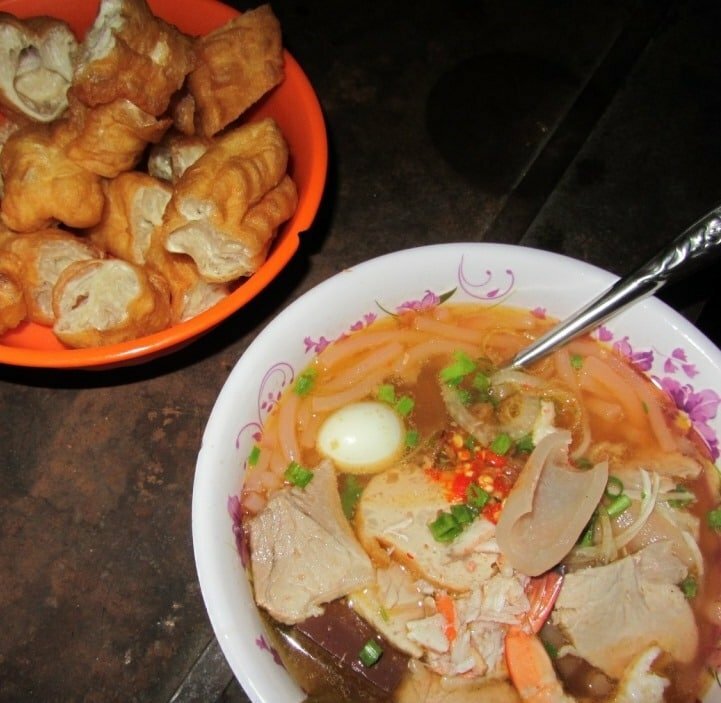 There’s certainly a lot of nutrition in, for example, a bowl of bún mắm. 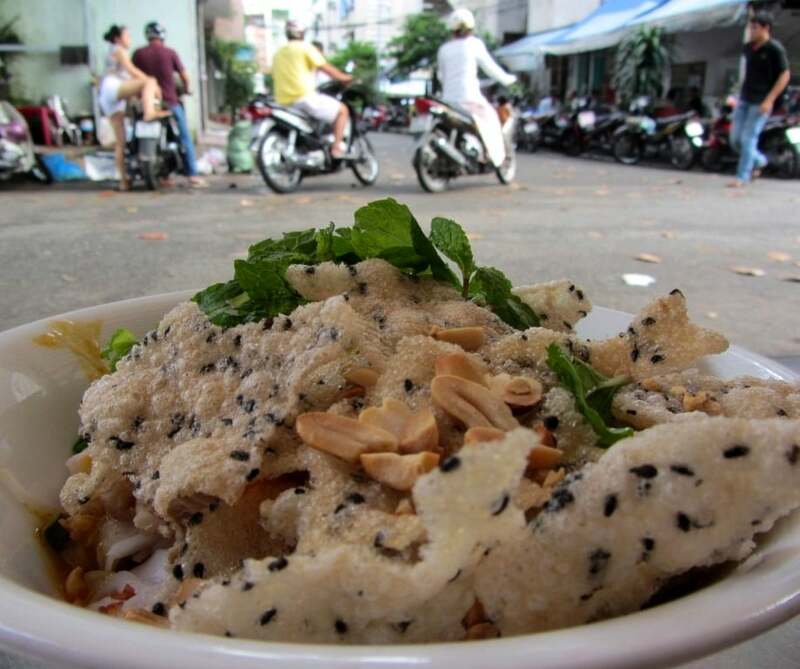 But, something that Vietnam food lovers often overlook is the quantity of sugar & MSG used in Vietnamese cooking nowadays – especially on the street. Is it cheap? Emphatically, yes! My total expenditure for the whole week was: 614,000VNĐ ($29). That works out at an average of 87,000VNĐ ($4) per day. 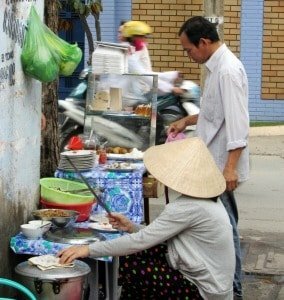 Backpackers, cheapskates, struggling artists rejoice: you can eat cheap & well on the streets of Saigon! 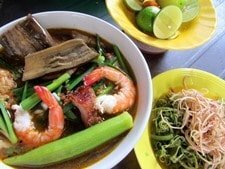 This entry was posted in ALL, DESTINATIONS, FOOD & DRINK, Food Weeks, Saigon, Street Food, The South and tagged food, guide, Ho Chi Minh City, Saigon, street food, travel, Vietnam, Vietnamese food. Bookmark the permalink. 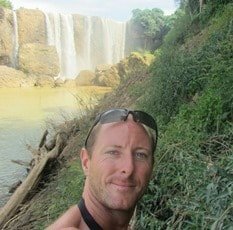 Another great blog post mate. 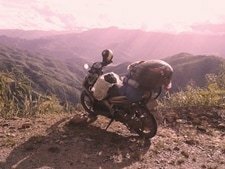 I’m planning a few months by motorbike exploring Vietnam next year and your site is truly invaluable. Thank you. Keep up the good work. Love your blog! Thanks, Stuart. Glad you enjoyed it. Happy trip planning! This all looks so great! A couple questions I’d love if you could answer: how do choose which stalls are safe and which stalls are a no? Also I’m going to be traveling with a pescatarian so are there any phrases to say like “without pork please” or “just seafood” or would a request like that be ridiculous? 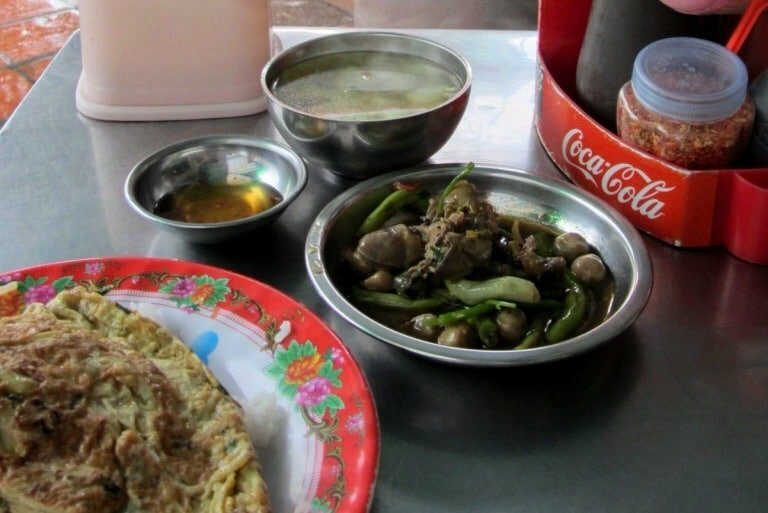 In general, street food is a lot safer and cleaner than most people think. 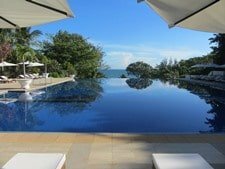 The golden rule is to dine at places that are busy – no matter how ramshackle they might look; if they are busy, they’re good. As for travelling with a pescatarian, it’s a little complicated to communicate that you eat fish but not meat. 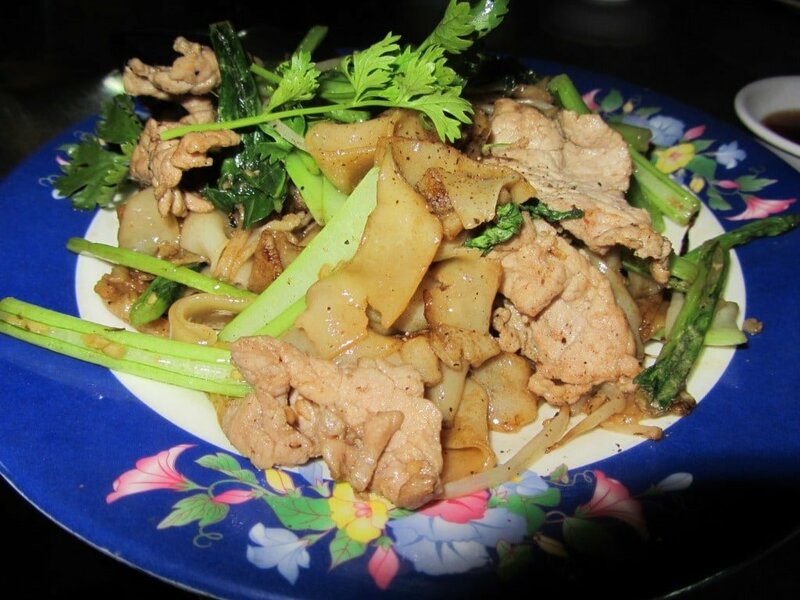 It would be much easier to say that you are vegetarian, in which case you should write this down: ăn chay. I hope you enjoy the street food scene in Vietnam – it’s one of the best aspects of visiting this country. If you haven’t already then take a look at my guide to Saigon’s best Street Food streets here. I visit Saigon for at least 4 days per year and eat street food almost exclusively. Your week of street food is fantastic, so many great ideas for my upcoming trip. Your finds are much better than mine were. Thank you for sharing that week with us.